Our Newest Member was the winner of our one-year free membership draw, presented at our 2017 December luncheon. Born in Poland and educated as a mechanical (aerospace) engineer, he emigrated to Canada in 1985. His media interests include hosting a Polish program at Carleton University’s radio station, CKCU from 1995-2000, publishing a number of books - mostly in Polish - from 2000-2015; presenting video productions of interviews with interesting people and volunteering at Rogers t.v. since 2016. June Coxon: An article by June was published in the March/April issue of Fifty-Five Plus magazine. Called “Breaking Bread With Traditional Ways,” it is about an Indigenous Cook course being offered at Algonquin College. Ottawa artist Shirley Van Dusen is internationally recognized for both her sensitively rendered portraits and her evocative paintings of iconic scenes of Ottawa and the surrounding valley. Her paintings of Ottawa’s Parliament Hill, the Canadian Tulip Festival, Prime Ministers and everyday folk are held in notable private and public collections around the world including Prime Ministers Pierre Elliot Trudeau (1919-2000) and Brian Mulroney, the National Press Clubs in Ottawa and Washington, DC and the Bank of Canada. At 91, Van Dusen continues to paint prolifically. 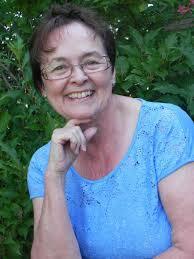 She is a life member and Fellow of the Ottawa Watercolour Society, an art teacher and published writer. Margaret Virany was recently admitted to hospital and has returned home, Our thoughts are with her and her family. You may already be following Marg Virany’s interesting blog. If you haven’t found it yet, you might like to start by reading about the Media Club’s beginnings in cozybookbasics . Susan Korah, a former long time club member who's still actively interested in the Media Club, spends most of her time working out of the country,. Susan had an article published in the Winter 2018 issue of Taste and Travel. It’s called “From Luxembourg With Love” and is on page 36. Former club member and past president, Jacquie Cernat Mathieu had a stroke on March 23, 2018. She reports that after spending weeks at the Bruyere Hospital she is now home and is feeling much better. Darren Prefontaine, curriculum development officer at the Gabriel Dumont Institute (GDI), in Saskatoon, is writing Olive Dickason's biography and expects it to be printed in 2018. Watch for more news about this as it becomes available. Olive's portrait already hangs in the institute's art gallery and GDI also has an Olive Dickason Room. Olive's daughter, Anne, recently mentioned that the University of Alberta will be dedicated a room to her in 2017. - how brilliant ideas can sometimes reap great rewards, as in the phenomenal story of The Gas Barbecue Cookbook. The publisher was inspired to approach companies selling gas barbecues and offer them discounts for buying, in advance of publication, 1,000’s of copies to give to customers with purchase, so that the recipe book eventually sold 1.6 million copies. Tim Gordon demonstrated how a publisher must be savvy to succeed in the current environment. His publishing company used to focus on the broad base, consisting of the general public who were readers. They now go after niche markets and use a direct sales approach. As well, they have had to take off the blinders and disassociate from mainstream chain bookstores, which take 40% off the top, plus a brokerage fee. Today Burnstown Publishing will package books for people, using a royalty-based approach. They co-publish with first-time authors who contribute seed money for editing and design, and help to publicize the books. They have learned to be careful of big orders because “they can come back to bite you”. In conjunction with the author, they will first identify the market and then do a small test run. They use a formula that tells them how many books they need to sell in order to break even. This way, it’s possible to easily recoup expenses. So they might print 100 books at a time as a limited edition printing. They might also pre-sell books to small bookstores. Gordon pointed out that he still deals with the brick and mortar independent stores and believes they will continue to survive if we all support them.